Do you want to have an item that is truly green? Here’s an eco-friendly pen made from recycled water bottles. 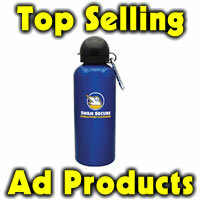 Makes a great tradeshow giveaway at a Green themed event or promotion. Order yours today as these are going to be very popular! New recycled pen is one the latest additions to the eco-friendly line. Sea glass colored, imprint area is 1.5″ x 1″ and is a truly unique and earth friendly way to promote your business! Minimum order is 250 pieces at 94 cents ea, 500 90 cents ea, 1000 87 cents ea, 2500 77 cents ea and 5K or more 74 cents ea. 40.00 one time set up.